Quality being the sole concern, we offer designer array of Traveling Backpacks that are durable in nature and are offered in varied designs. 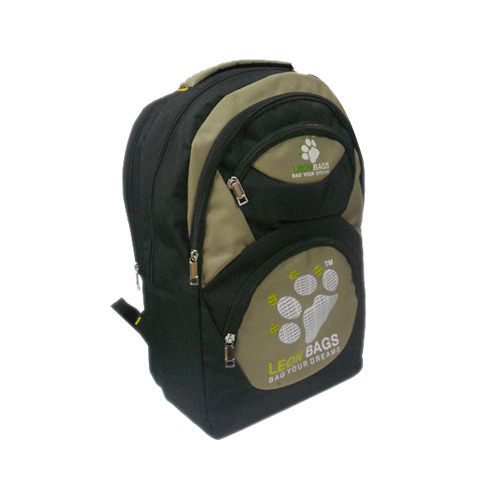 They are used in trekking and traveling and are offered with different spacious compartments. Our entire product range is extremely stylish and is designer in patterns. Moreover, we offer them in well-defined time. We Honesty Trading Co. are a Bengaluru, Karnataka, India centered Sole Proprietorship based organization. We are engaged in manufacturer, trader, supplier, and wholesaler our clients a wide array of College Bags, Waist Bags, Executive Bags, School Bags, Lunch Bags, School Backpacks, Laptop Backpacks, College Backpacks and many more. We are operating in the industry as a leader in our domain since the time of inception of our organization in 2012. We are committed in providing the best quality and precisely manufactured range of products to our clients. We don’t believe in quantity but we trust quality and going by this philosophy, we have engaged ourselves in offering a small product line but are manufactured with the latest technology, best grade material and of most by understanding the market need of the hour.